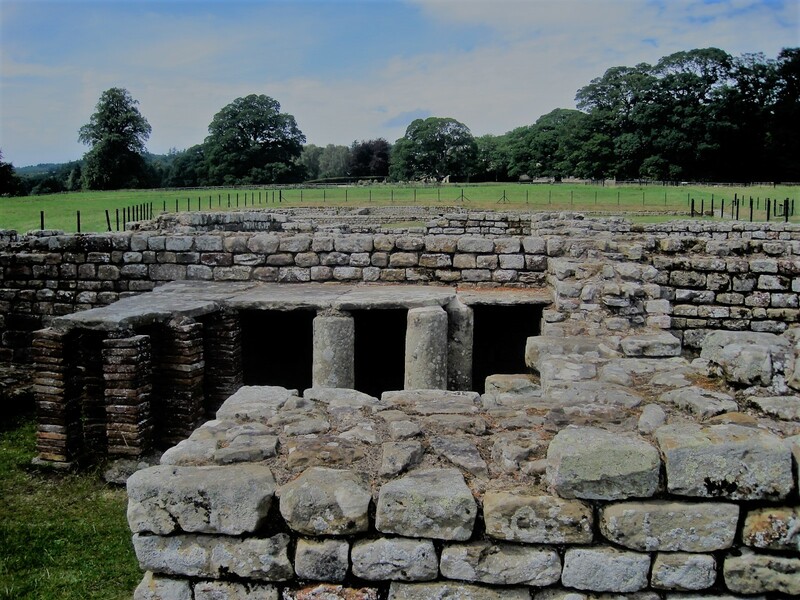 Described as the ‘most complete Roman cavalry fort in Britain’, Chesters dates from AD123, just after Hadrian’s Wall was completed. 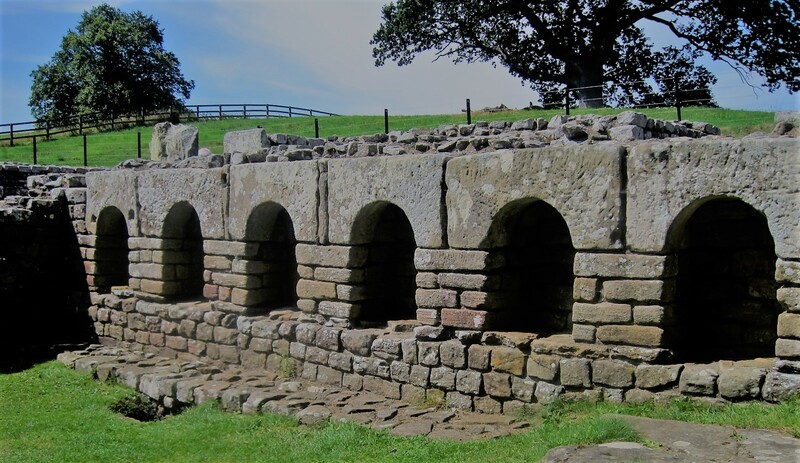 In a lovely setting by the River Tyne, the most visible aspect of the fort are the Roman baths. A full history of the ruins can be found here. The cavalrymen lived in close confinement with their horses and some interesting thoughts and details are provided on information boards. After a sweaty day with the horses it must have been wonderful to indulge in a little scrubbing in the tub. The commander, of course, lived in relative luxury. He must have wondered what he’d done to be exiled to the ‘edge of Empire’. I had intended this to be the subject of a Monday walk, but I’m running out of Mondays before I’m back in the Algarve. Paula has obligingly included Fortified in her Pick of the Week in August and I’ve just time to slip this in before the next Thursday’s Special.